These are some of the most interesting remarks that John Ging, head of UNRWA operations in Gaza, made in a special interview. The United Nations Relief and Works Agency for Palestinian Refugees’ (UNRWA) mission is to provide welfare and education services to 4.8 million people defined by it (as of today) as refugees – in the Gaza Strip, the West Bank, Lebanon, Jordan and Syria. I had two long face-to-face meetings with Ging in the last month. After them, and in between, we continued emailing each other with additional questions and answers. 44 years old, Ging is an Irish lawyer and an ex-military officer. He came to Gaza in February 2006 after doing humanitarian work in Rwanda and the Balkans. He had two objectives in the interview: one was to open a dialogue with the Israeli public, and the second was to convince the Israelis that the political conflict should be separated from the humanitarian situation in Gaza. The two, according to Ging, should not be related. “I want to open a new chapter in the relationship of UNRWA with the Israeli public”, says Ging. “I have come to realize that there are key misunderstandings of UNRWA’s role. We haven’t communicated effectively and we haven’t been providing answers to questions that arise. I perfectly understand the Israeli negative view towards my organization and I understand that there is a basis for people to be skeptical. There are tough questions to be answered, and they should be addressed. There hasn’t been the depth of discussion that would enable people to make a better informed opinion”. UNRWA did not create the Arab-Israeli conflict, says Ging, and it should be judged by its actions in the relevant fields – especially education and welfare. “UNRWA has no political role, and you don’t go to the Ministry of Education to criticize the foreign policy. We have a specific mandate for civil services”. Ging takes special pride in UNRWA’s schools, where he says children “are taught to take responsibility for their actions and to realize the contribution that Palestinians have made to their current situation. We have to convince the children of Gaza that the way forward is through adoption of universal values. We teach them from grade one that in order to attain your rights you must first act according to the standards of responsible behavior. We teach them about Nelson Mandela, Martin Luther King and Gandhi, to show them how other people have succeeded to achieve their human rights, and it’s not by firing rockets into Sderot”. Are people in Gaza aware to the fact that they are responsible for their situation? “Not enough aware. We teach the children of Gaza the consequences of suicide bombing and of throwing rockets in Israel. They cannot turn around and be self indulgent of irresponsible behavior. We also teach them that on the other side there are good human beings who want nothing more than a peaceful solution to the conflict but their legitimate concern is that of security because of their experience. 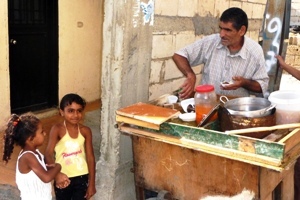 Due to history, people in Gaza have to prove to their neighbors that they are truly committed to peace”. Ging’s relationship with Hamas, the Islamic movement that controls the Gaza Strip, are far from being good, and he was even the victim of an unsuccessful assassination attempt in 2007. “We have a component of the population in Gaza which is very violent, destructive and extremist”, he says. “There is violence against Israel and also inside Gaza, for example against UNRWA’s schools. The extremists accuse us of the feminization of the society, which is the equal opportunity that we are teaching and of which we are proud. The violence is directed towards anyone who seeks to promote universal values”. 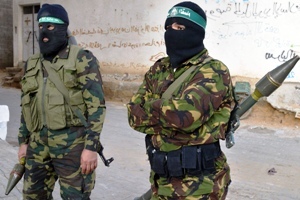 What role is Hamas playing in the Gaza Strip? Is it helping the human development of the population? “The economy of Gaza has collapsed during the period of Hamas governance creating unprecedented levels of impoverishment. The public services are overstretched and overburdened as there is no investment or development. The impact that Hamas has made on the economic status of the general population is negligible, as it is the donations of the international community that sustain the population”. But Ging is optimistic. The good news, he says, is that only a minority of Gazans are extremists, whereas the majority is committed to a peaceful two-state solution. “I hope that also on this side people will reignite talks and know that on the other side there are people who in their core share our universal values”. Why do you think Israelis should care about the humanitarian situation of someone who wants to turn them into refugees? “There are tens of thousands of extremists in Gaza, but I can bring more than tens of thousands who would say that there is need for a just solution for this conflict. The State of Israel is here to stay and anyone who is professing an alternative agenda is not acceptable by our standards and we categorize these people as extremists”. So Hamas would be defeated in case of an elections? “The moment you try to simplify the politics of the region, you fall into many traps. I am saying that an overwhelming part of the population is good and descent, and demonstrated its capacity to peacefully coexist”. What are the signs for that? Where are the articles they write, the demonstrations, the NGO’s that are actively pro-peace? “Why do the parents of Gaza send their children to our schools? And in the business community, with the smallest opening in the last months, the tunnel industry has collapsed. That’s standing up for what is right and what is lawful. It shows that they have intent to do commercial business with their neighbor”. The fact that people gave up a dangerous route of commerce shows they are committed to peace? “Yes, otherwise they would continue work with the tunnel”. People in Iran and North Korea also pay for their governments’ actions. The people of Gaza made a choice to elect Hamas, who made a choice to ignore all agreements and to not recognize Israel. So the international community isolates them. “The question is what choice they had. There is no blame on Israel but the international community has questions to answer about the ballot in Gaza (that took place in 2006 and in which Hamas won, AS)”. Ging said some tough questions should be answered, so I decided to ask him some of them. The first one regards the agency’s mere existence. UNRWA was established by the United Nations General Assembly under resolution 302 of December 1949. For some reason, the UN decided that the Palestinians would be the only ethnic group to have a special agency – and all the rest, tens of millions of refugees around the world (mainly in Africa and Asia, but also in the Balkans and in Latin America) are taken care of by another UN agency, the United Nations High Commissioner for Refugees (UNHCR). UNRWA was criticized harshly during the years: while one of the UNHCR’s main tasks is to resettle refugees – and its success is measured accordingly – UNRWA is only dealing with welfare and education. While in all other ethnic groups the number of refugees diminishes with time, the number of Palestinian refugees is just growing: from 700,000 in UNRWA’s inception to 4.8 million currently. One reason for that is the unique and different way UNRWA defines a Palestinian refugee. Throughout the world, a refugee who receives new citizenship in another country is no longer considered a refugee (thus, hundreds of thousands of Jews who fled Arab countries as refugees in the 40′s and 50′s stopped being refugees when resettled in Israel). But Palestinian refugees continue to enjoy UNRWA’s services even after receiving new citizenship (there are about 2 million Palestinian refugees in Jordan, most of them Jordanian citizens). In addition, UNRWA unprecedently widened the definition of refugee to include also the descendants of refugees, so that every newborn baby is automatically considered to be a refugee. “We shouldn’t exist after so many years”, says Ging, “and I perfectly understand the Israeli negative view towards my organization, because it is the manifestation of the political failure of the international community to resolve the conflict. Our 60th anniversary was not a moment of celebration but a commemoration of failure because we should not have had to exist after 60 years”. Why don’t you resettle the refugees? “This is not our mandate. I am by mandate given for action, not to resolve the conflict. The question of the refugees is an issue that should be decided upon in the negotiations between the parties themselves”. Gaza is under Palestinian control. Have you tried to initiate a resettlement project there together with Hamas? “Why would I do that? You are asking me to solve one of the protracted issues of the conflict. This is not our mandate”. Every reasonable person understands that Israel will never let into its territory 4.8 million Palestinians, because it will stop being the State of the Jewish People. Not settling the refugees is not a neutral act: You thus perpetuate the conflict, and even make it worse, since every day the number of refugees increases. “UNRWA gets its mandate from the General Assembly. Our mandate is to act, not to solve the conflict”. Ging refused to comment on the fairness or the reasonableness of the Goldstone report, on the true nature of the Turkish Marmara ship that tried to reach Gaza, or on the feeling shared by many Israelis that their country is prejudiced against in many UN bodies. He said he is a UN official who cannot pass judgment on these issues. I asked him if it is reasonable in his view that a democratic country – of the sort the UN was supposed to promote – would be subject to endless attacks from totalitarian countries such as Libya and Cuba (as happens in the Human Rights Council), Ging answered: “I cannot answer such a straightforward question”. But he could not ignore the criticism coming from within. In January 2009 UNRWA suffered a devastating blow when one of its most senior officials published a damning report on its activities. 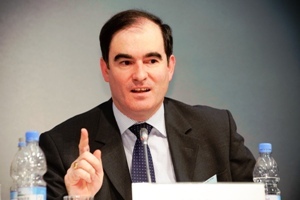 James Lindsay, legal advisor and general counsel for UNRWA from 2000 until 2007, criticized the agency for issues that were raised previously by Israel and by other players in the international community. Only this time it came from within. In a lengthy report (read it here), Lindsay wrote that “UNRWA’s failure to match UNHCR’s success (in resettling refugees, AS) obviously represents a political decision on the part of the agency”, and that “UNRWA has gradually adopted a distinctive political viewpoint that favors the Palestinian and Arab narrative of events in the Middle East. In particular, it seems to favor the strain of Palestinian political thought espoused by those who are intent on a ‘return’ to the land that is now Israel”. By that, concluded Lindsay, “UNRWA encouraged Palestinians who favor refighting long-lost wars, (and) discouraged those who favor moving toward peace”. Lindsay referred also to UNRWA’s education system, quoting a few American researches, the most moderate of which concluded that the curriculum “is not a peace curriculum”, that the textbooks “fail to identify Israel on maps”, and that they “avoid discussing Jews or Israelis as individuals”. These are very harsh words. Why don’t you replace these books so they befit universal values? “It was disappointing to find these paragraphs in Lindsay’s report. I don’t agree, and I think he has no basis to say that it is UNRWA’s decision because our mandate is given to us. I agree that it is a political failure, but we don’t set up the mandate, we are only the implementers. 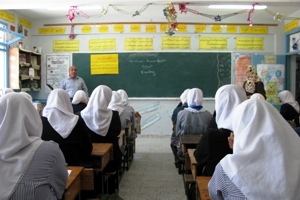 As for our schools, we use textbooks of the Palestinian Authority. Are they perfect? No, they’re not. I can’t defend the indefensible. We acknowledge the weaknesses and that is why we enrich the curriculum with our human rights program, for all ages. We teach the children about the history of the human rights movement. We grounded our program in the universal declaration of human rights, which is borne out of the horrors of the Second World War. So we teach the children the horrors of the war, including the Holocaust. We are also teaching the kids about the unanimously adopted resolution on Holocaust remembrance, which is a 2005 UN resolution proposed by the state of Israel adopted in the General Assembly”. Holocaust classes in Gaza gained publicity a year ago, following press reports that UNRWA was starting such classes in its schools. A huge uproar succeeded those reports: UNRWA spokesman Adnan Abu Hasna told Reuters that “there is no mention of the Holocaust in the current syllabus”. Ging himself was quoted in the Palestinian news agency Maan as saying: “it was inconceivable that the Palestinian students should learn about the Holocaust while Israel had eliminated everything related to Palestine from the curricula… UNRWA had no intention whatsoever of incorporating (in its curriculum any) materials or subjects against the wishes of the Palestinian society”. Ging denies vehemently the quote and says he never gave an interview to Maan on this subject. He insists that children in Gaza are taught about the Nazi concentration camps, about the Ghettos and about Auschwitz. Such classes are tremendously important in understanding the history of the Jewish people. Moreover – in the prevalent discourse of the Middle East, where Holocaust denial is legitimate and sometimes even openly encouraged, this is indeed an achievement. I tried therefore to learn more about the students’ reactions and the classes themselves. I asked Ging if someone ever visited such a class. His answer was that “anyone who comes to visit us is welcomed to go to our human rights classes”. I asked Ging again if any western journalist ever visited such a class and published his impressions. He said that Donald Macintyre from The Independent visited and published this story. But from reading the story, it is obvious that Macintyre did not visit such a class. It remains a mystery to me why Ging said that Macintyre visited such a class, and how come no journalists visited such an obvious success story of UNRWA. Since Ging said time and again during our meetings that his main concern is humanitarian and not political, and that he is not taking sides in the conflict, I asked him if he ever gave an interview to the BBC, calling upon the international community to “stop immediately” the rockets fired to Sderot or the suicide attacks in Israeli cities. He sent me two examples of such interventions: one is a speech he gave in Cleveland US in March 2009, where he said that an Israeli mother, who does not know if her child will be picked off by a rocket fired aimlessly from Gaza is a victim of terrorism. The second was an event in Kibbutz Zikim in the south of Israel, where in front of about 50 people Ging condemned the rockets being fired into Israel. So – on the one hand we have a live interview, given to an internationally respected broadcaster, viewed by tens if not hundreds of millions of people all around the world. And on the other hand, we have two small events attended by a few dozen Israelis and Americans. That’s ridiculous! There is no comparison in the content either, since I asked Ging whether he called upon the international community to “stop immediately” the violence, and there is no such call in the examples he sent me. If I were supposed to be convinced that UNRWA is a neutral a-political agency, these examples are not doing a very good job. “UNRWA told us it has screened all staff, contractor, and beneficiary names against a UN Security Council list of potential terrorists and found no matches. However, the list is restricted to individuals and entities affiliated with Al-Qaida and the Taliban and thus does not specifically include major regional groups, such as Hamas and Hezbollah”. Is it possible that behind this entangled wording lays the incredible assertion that UNRWA is checking if there are Taliban members on its payroll, but not Hamas members? Ging answered the following: “UNRWA is in compliance with funding conditions of the US Foreign Assistance Act, which prohibits any direct or indirect assistance to terror groups as defined by the US. UNRWA prohibits the employment of members of Hamas or any regional group, in fact UNRWA prohibits its employees to engage through membership or otherwise in any outside activities. As part of UNRWA’s efforts to ensure full transparency and accountability, UNRWA submits its entire list of staff to the Government of Israel”. I asked Ging if this means the American report is wrong, but I did not get an answer. It is again a mystery to me how these two assertions can be reconciled. During operation Cast Lead Palestinians fired at Israeli soldiers from the vicinity of UNRWA schools. When the Israeli army returned fire and civilians were hurt, Israel was harshly criticized. Why do they shoot from there in the first place? “I condemn people who fire rockets from next to UNRWA compounds, and in fact I condemn that from everywhere else. I have huge respect for Israeli staff in the land borders who are on the front lines every day. I tell Palestinians to look at the risks that Israeli people are taking to enable passage of supply into Gaza. And who’s firing rockets at them? Palestinians. And what are you doing about that is my question to the Palestinians”. (A shorter version of this interview was published in the weekend edition of the Israeli newspaper Israel Hayom on November 5th 2010. See also an analysis based on Mr. Ging’s quotes that I published in The Jewish Chronicle on November 26th 2010).